How much time do you have when it comes to reaching your dreams? Maybe you feel like time is running out. As life moves faster and faster, goals and dreams move slower and slower. Opposites definitely attract in the most unpredictable ways. You want more out of life, but have no more energy to spare. You want to make a difference, but the difference is in your own life, not in the lives you are wanting to impact. or marrying the man you did. We all have these thoughts. Some linger longer than others. Plus, they can make us fearful of mistakes in the past. All of this adds up to — time is running out. Ever felt like running away. It’s easy to hide and not face the music, good or bad. But it’s what you seek. Just as our sponsor seeks to inspire. Think about it this way. When you play hide and seek, the win doesn’t come from the hiding. It’s all in what you seek. The K.I.S.S. ~ Seek the T.I.M.E.! T = TRIM your schedule. What’s really the priority for you now. What can you let go of? I = reIGNITE your passion. Wake up what’s been hiding. M = MANAGE your thoughts. Keep the focus on what’s in front of you, always forward looking. You are seeking, open to what God is blessing you with. E = ENVELOP your now. Wrap yourself up in what you are dreaming and the doors God is opening. Where you want to go. Who you want to impact. 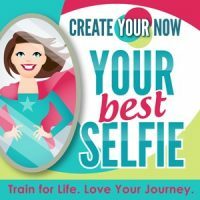 Filed Under: Create Your Now ~ Your Best Selfie Tagged with: Mindful Monday, Mindfulness, mindset, T.I.M.E.